What kind of player can Hibernian expect to find in the returning Ryan Gauld? Touted as the next big thing in Scottish football when he joined Sporting Club de Portugal, Ryan Gauld is now trying to find his feet again at Hibernian. Is Hearts’ managerial set-up directing Ian Cathro towards the edge? With Hearts manager Ian Cathro under mounting pressure, Robert Hay jr questions whether the club’s managerial set-up is creating the environment for strife. With Scottish football suffering in the shadow of its larger cousin south of the border, Robert Hay has some new ideas that could change the fortunes both domestically and around the world. League success – is three the magic number? Jason Coulter takes a look at what makes a league successful, and whether Ligue 1 could be holding Paris Saint Germain back. 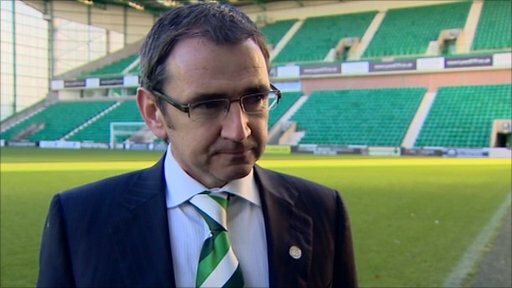 Robbie Deighan looks at Pat Fenlon’s difficult start to life at Hibs. The Zombie Nation: Notes on Scottish football’s demise. Iain Swan paints a rather worrying picture for the future of Scottish football. The SPL gets underway this weekend and Joel Sked previews the coming campaign.